Group-winning sprinter, won 5 races, 11 length winner of his Maiden at 2 years. Successful at 2, 3, & 4 years, and Timeform-rated 118. By Dark Angel, sire of multiple Group winners including dual Group winner and Champion sprinter, LETHAL FORCE. He was a 140,000gns yearling (top priced of his sire’s first crop). 2nd, nk, Gr.3 Hackwood Stakes, Newbury, 2014. Heeraat is a very exciting stallion prospect, producing some marvellous looking foals, and his first crop realised some very attractive prices in 2016. His first yearlings will be in 2017 and they are sure to be in demand. 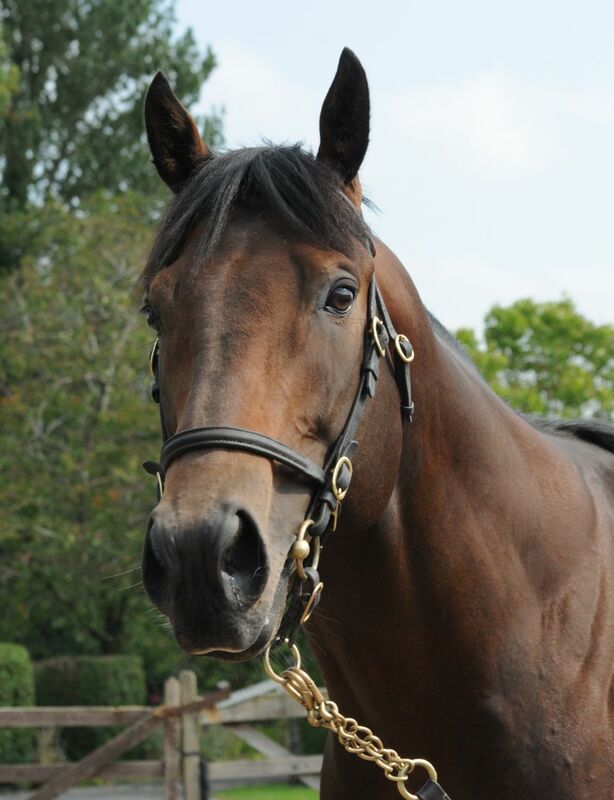 Being by Dark Angel, it was quite an achievement to secure the services of Heeraat for Mickley Stud, as we had competition from several other studs who were keen to stand him, and we have been delighted with his progeny so far. His Dam is a half-sister to Group 1 winning sprinter Malhub (Timeform rated 126 and Group 1 sire) and in 2014 her yearling realised 380,000gns at Tattersalls. Trained by William Haggas for owner Hamdan Al Maktoum, Heeraat won 5 races from 2-4 years over 5f-6f, and was placed 9 times. He won the Gr.3 Hackwood Stakes over 6f at Newbury in the fastest time since 2001, beating Gr.1 winner Krypton Factor. His time was faster than INVINCIBLE SPIRIT and 5 other Gr.1 winners of the race, and he only just failed by a neck to win it again the following year. He won his maiden at 2 by 11 Lengths. He is a handsome, good looking sort with a fantastic temperament, and his bloodlines have the same Dark Angel/Green Desert cross as LETHAL FORCE. Half brother to LR winner AMBIANCE, from the family of DANDY MAN, ANTHEM ALEXANDER, SUDIRMAN, and GENTILDONNA. Heeraat was Rated 5lbs superior to DARK ANGEL by Racehorses of 2013. His first foals look superb and have realised up to 38,000gns at auction. "Heeraat was a thoroughly genuine colt, blessed with fabulous temperament and plenty of ability. He was a pleasure to train and handled all types of ground."